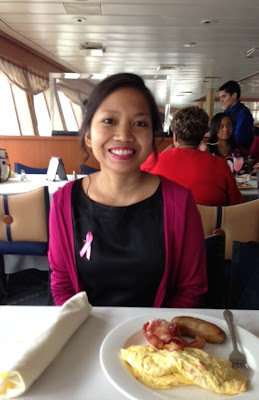 On Sunday, October 7th, I attended Beauty Brunch for the Cause, aboard World Yacht's Princess. 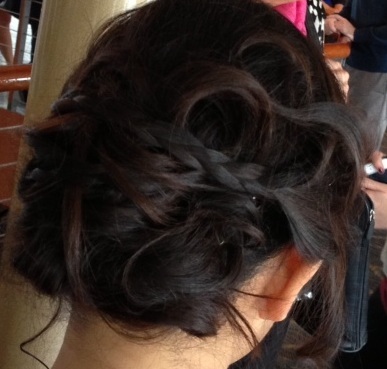 It was the perfect way to spend a rainy Sunday, with brunch, bubbly and beauty services. The services filled up quickly, so I was lucky to get there early enough to book treatments for the John Barrett Salon braid bar and eyebrow wax from the Jillian Wright Clinical Skin Spa. I would have loved to get a massage or manicure by Oasis Day Spa, but those appointment slots were the first to go. 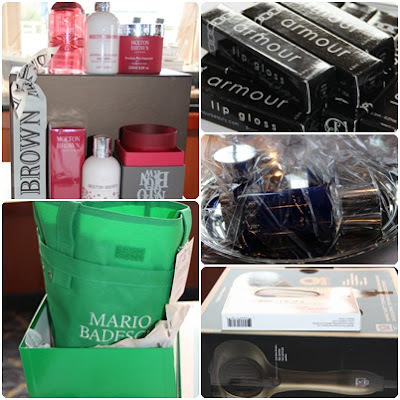 Other beauty participants included Molten Brown, Ellis Faas, Kimara Ahnert and Minx Nails. I actually had the winning bids for two of the silent auction items, including the Eva Scrivo Salon haircut with a Senior Stylist + Eva Scrivo On Beauty book and a Centrix Q Zone blow dryer + mini flat iron. The silent auction also included items from Mario Badescu, Cricket Company, La Prairie, Milford Hotel, Armour Beauty, Harvey Prince, Molton Brown and Chasie23. 100% of the proceeds from the services ($10 donation for each beauty treatment) and silent auction is donated to The Breast Cancer Research Foundation.